County School, Norfolk. This was located on the Wymondham- Dereham - Wells on Sea line. Viewed facing north towards Fakenham and Wells. c1964. Opened in 1866, it closed to freight traffic on 13th July 1964 and to passenger traffic on 5th October 1964. Freight to Great Ryburgh which passed through the station survived until August 1981. 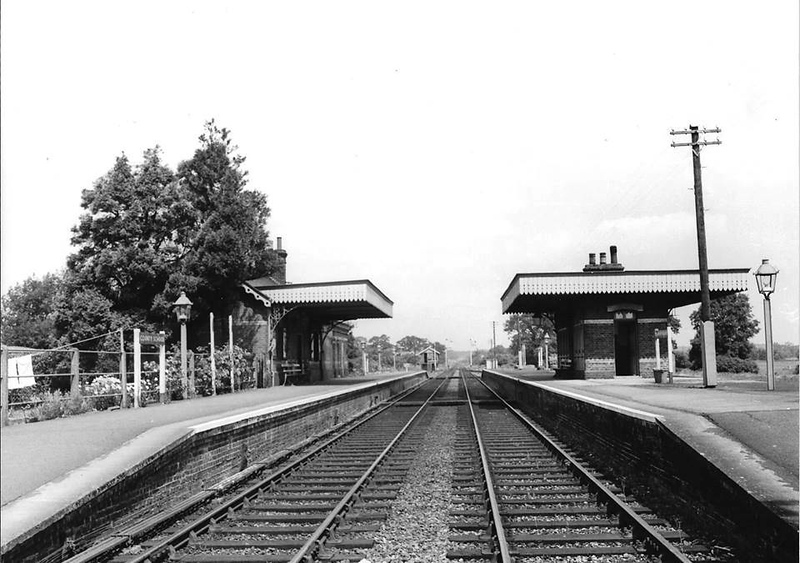 The station has been restored by the Mid Norfolk Railway although no track yet exists at the station. Image with kind permission of the North Elmham Archive.